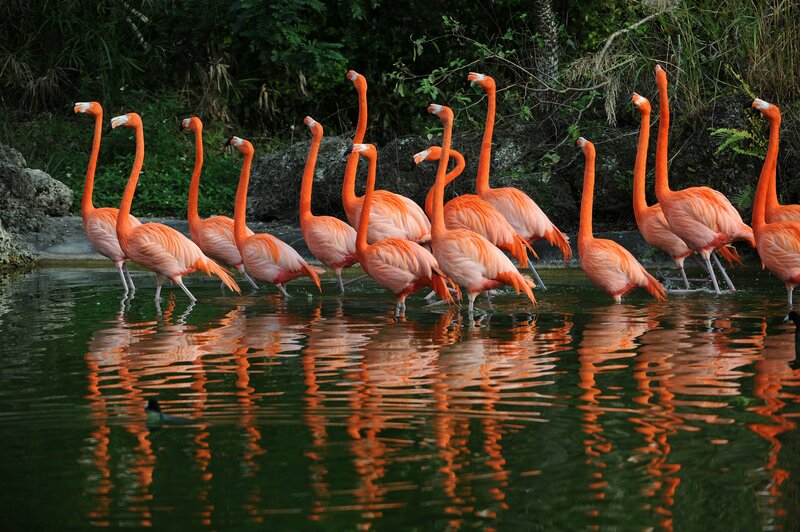 The American Flamingo (Phoenicopterus ruber) is one of the most beautiful and iconic birds of Florida. Early explorers documented hundreds and even thousands of flamingos around South Florida and the Keys, including John James Audubon. Other early reports also mention impressive numbers, such as Wurdemann’s report of the August 1857 capture of nearly 100 birds near Indian Key and the observation of 1,000 flamingos in February 1890 eighteen miles east of Cape Sable. Following these early sightings when flamingos seemed abundant, reports in the early twentieth century dropped to mostly single individuals and small groups. 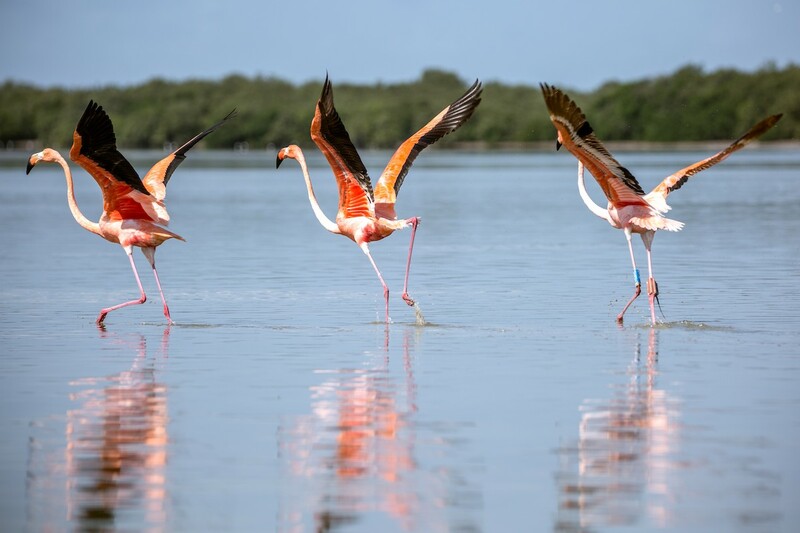 It seems likely that flamingos present in Florida Bay during this period were subjected to the same pressures that led to population collapses of other birds. Beginning in the late 1800’s the wading birds of Florida Bay were devastated by the millinery trade. 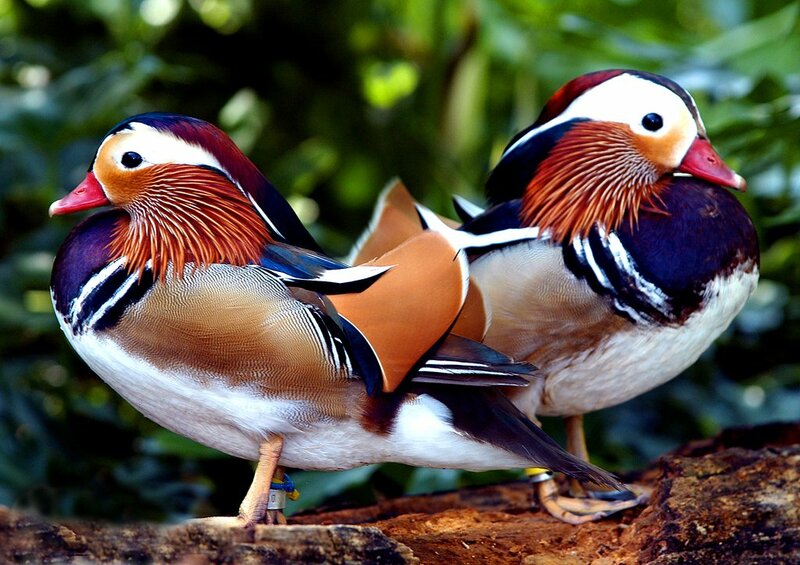 Hunters destroyed entire bird colonies to supply feathers for fashionable hats and meat. 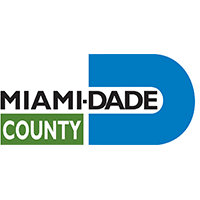 Even when the Lacey Act of 1900 and Migratory Bird Treaty of 1918 reduced hunting pressure, new threats emerged as drainage efforts in South Florida altered the hydrology of the Everglades. 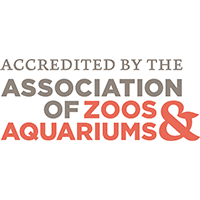 Recently, the American Flamingo has been present within Everglades National Park and Florida Bay in small numbers most winters, and sometimes throughout the summer. 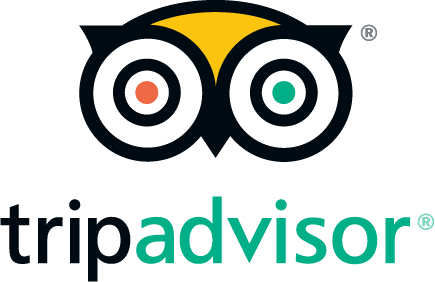 Reports include individuals scattered across large bays such as Snake Bight, groups seen in the coastal mud lakes during aerial surveys for exotic plants, and even the occasional large flock such as the 19 flamingos that made Lake Ingraham their home from January through March 2012. Other large group sightings include 30 that wintered in 1999, 57 by Pete Frezza, and 70+ by Juan Valadez during a North American Migration Count. The origin of the flamingos that visit Florida Bay has long been a point of speculation. American Flamingos nest across the Caribbean, with sizable breeding colonies in the Bahamas, Cuba, Turks and Caicos, and the Yucatan Peninsula of Mexico. 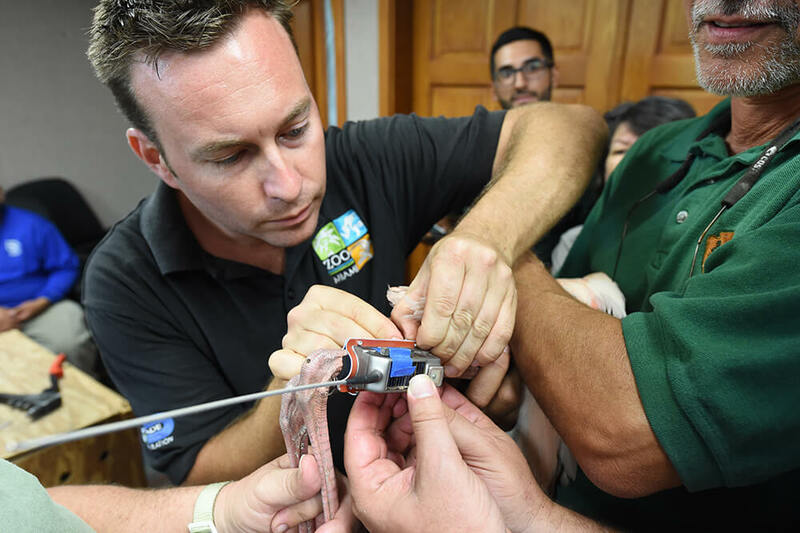 In addition, there is a captive, breeding population of American Flamingos that has lived at the Hialeah Racetrack in northern Miami-Dade County for at least 73 years. 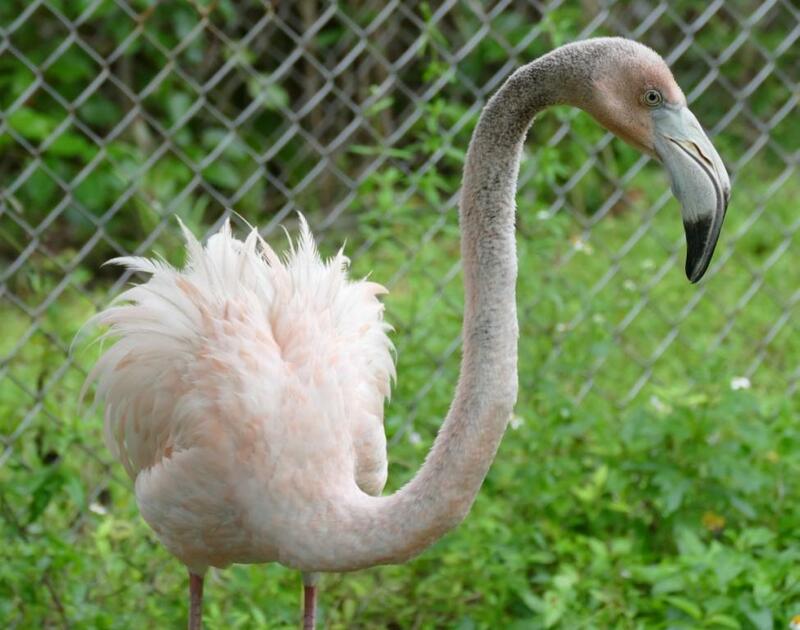 A little light was shed on the mystery origin of Florida’s flamingos in 2002 when a park ranger recorded the leg band on a flamingo in Everglades National park. 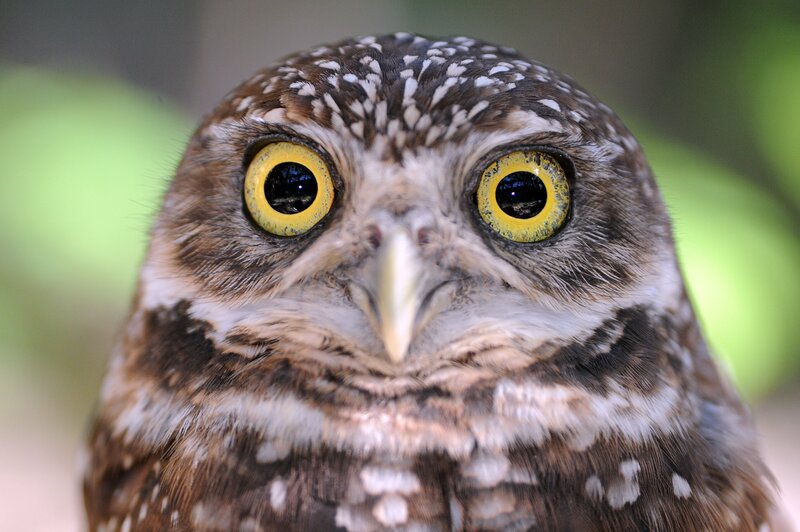 It was later discovered that the bird had been banded as a fledgling at the Ria Lagartos Biosphere Reserve on the Yucatan Peninsula of Mexico. This bird was subsequently found back in the Yucatan the following year. In 2012, a second bird was also traced to the Yucatan peninsula. These sightings confirm that flamingos are capable of long-distance flight and that birds from several nearby breeding islands are capable of making their way to Florida. 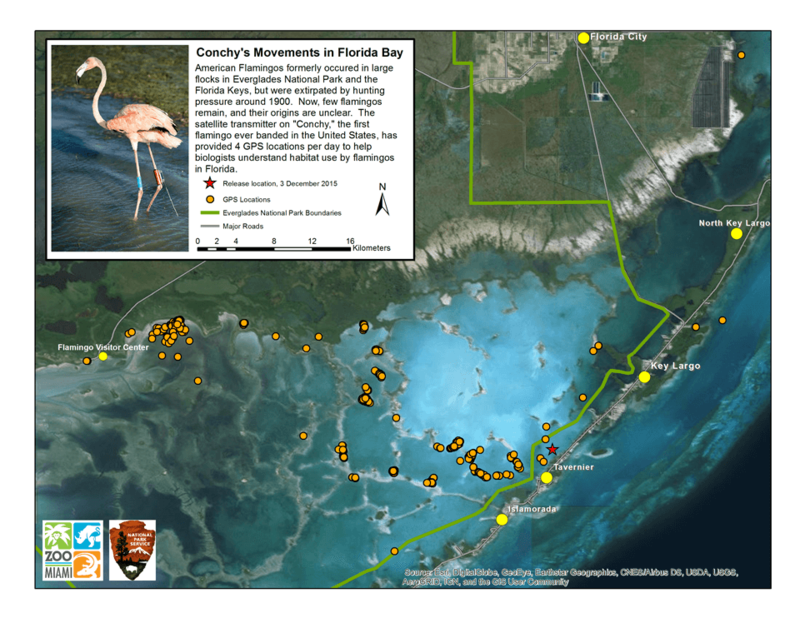 By placing GPS satellite transmitters on flamingos visiting Florida we can shed light on many long-standing questions about Florida’s flamingos – Florida's forgotten wading bird. 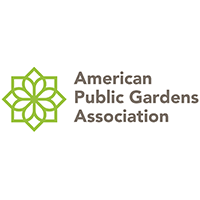 With this information, we can hopefully work with partners in their countries of origin to protect their feeding and nesting habitat to increase the Florida population back up to historic levels. 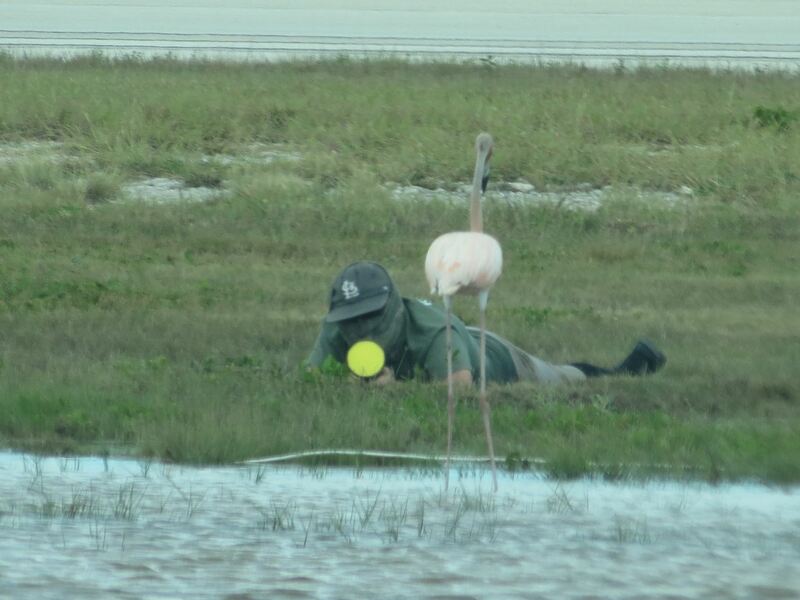 In early September of 2015, a trio of American flamingos flew into the shallow water areas of the Naval Air Station Key West at Boca Chica Field. Within a few days, a strong storm came through the area and two of the flamingos flew off leaving a single individual flamingo behind. 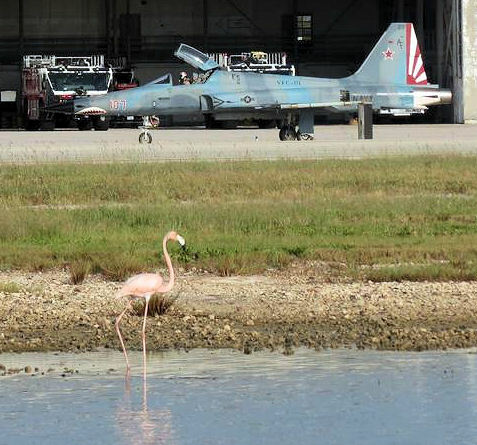 This flamingo took up residence between two very busy airstrips where Naval jet squadrons take off and land throughout the day. 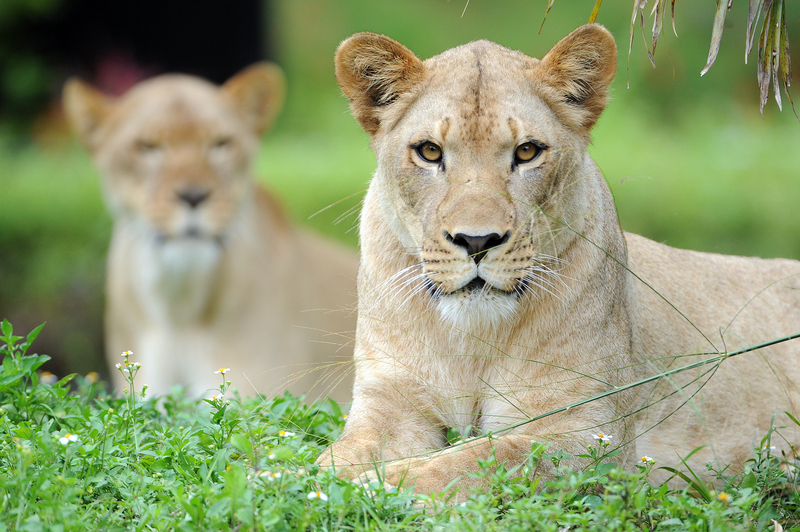 USDA Wildlife Services agents are contracted to keep wildlife out of these areas to prevent possible life threatening collisions with aircraft. They have tried and true techniques to harass birds to get them to leave the area keep the area safe for the birds and pilots. 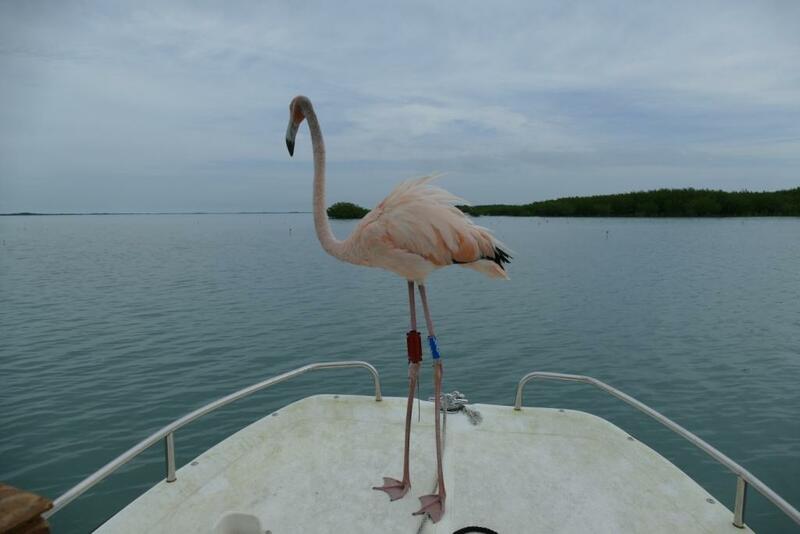 But, this flamingo was not budging after a few weeks of trying and the reluctant pressure to use lethal removal was building since an accident from a collision could cost the Navy millions of dollars or a pilot’s life. 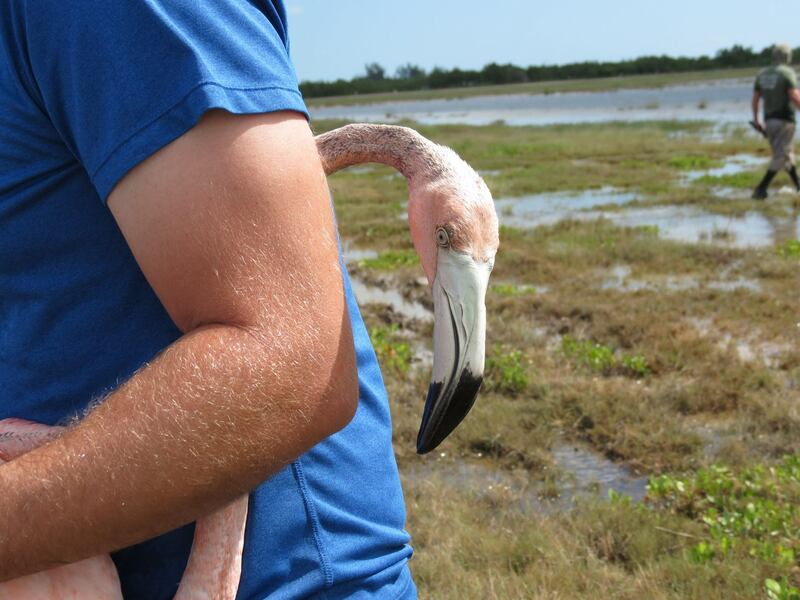 The USDA agent at the base had heard about our Florida flamingo program and contacted one of our partners in the National Park Service to reach out for assistance on a possible capture and removal. This was a departure from our study which was focused on capture, attaching a transmitter and then immediately releasing since this bird would have to be relocated. But, we were all willing to give it a try and help out in this unique situation. Thomas and Dr. Ridgley freeing Conchy from the net. “Conchy” was a little thin upon capture and needed some place to stay and fatten up while we worked through many regulations and permits to secure a suitable release location. 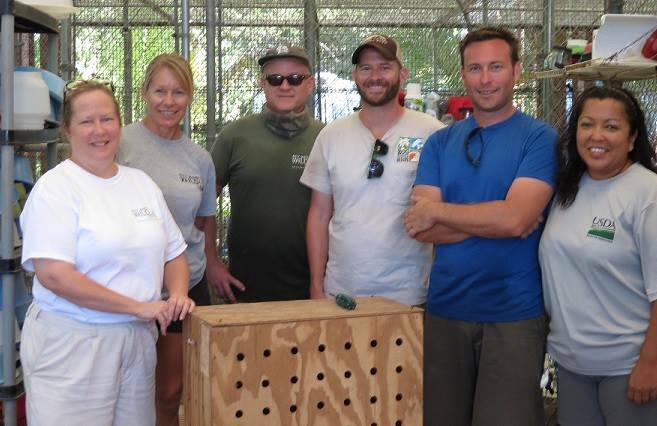 The Key West Wildlife center stepped up again and housed and fed him for three weeks. When that storm had passed through originally leaving “Conchy” alone in Boca Chica, the next day a pair of flamingos appeared in the area of Snake Bight in Everglades National Park. It is likely that this pair were the same ones that had been with “Conchy” and were also likely its parents. Flamingos pair bond and if you happen to see an isolated trio, it is likely a pair with their immature offspring. 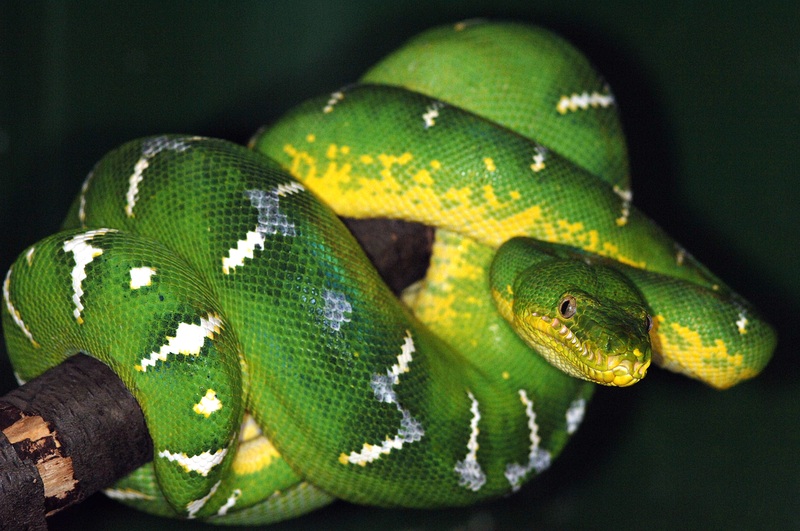 This made Snake Bight the most likely successful site for release to give “Conchy” its best chance of returning to the wild and reuniting with a flock. 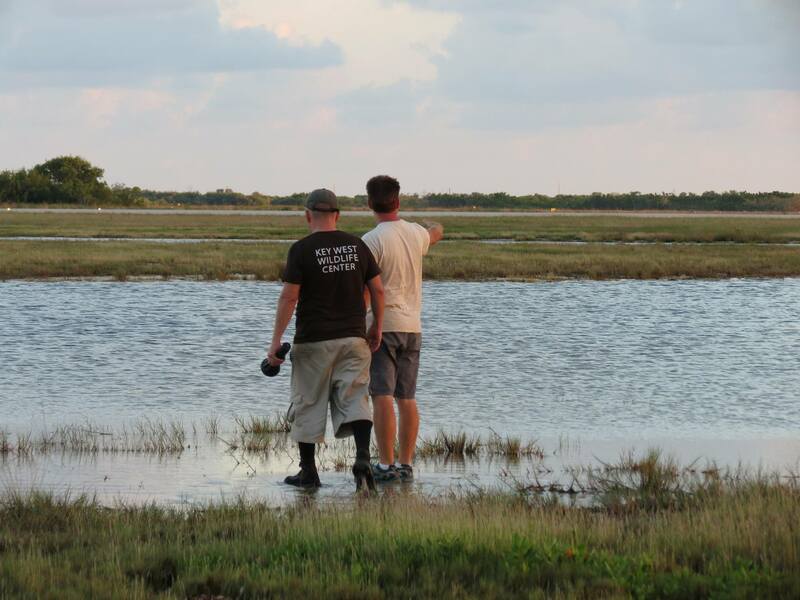 After the permits were obtained, “Conchy” had a transmitter attached to a leg band to allow tracking, the bird was loaded into a crate and transported to the Flamingo campgrounds at Everglades National Park where a park employee gave us a boat ride out to release him in an area near the other flamingos. “Conchy” was released onto a mudflat with hundreds of others wading birds around. All looked promising for him but like most fieldwork, things don’t always go as planned. A week after release, we got a call that “Conchy” had been found in Everglades National Park by their maintenance staff in very poor condition. He was picked up and found to be in very thin, in shock, and near death. 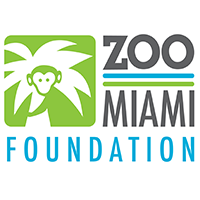 He was rushed to Zoo Miami’s hospital for emergency treatment by our veterinarians and stabilized. It turns out that while “Conchy” was at Boca Chica, he had been feeding in a very shallow man-made tidal pool with not much food except some snails and macroalgae on the bare rock. A common parasite, a liver fluke, goes through its life cycle in snails. He had apparently received a very large burden of these while staying those weeks in Boca Chica and eating many snails. 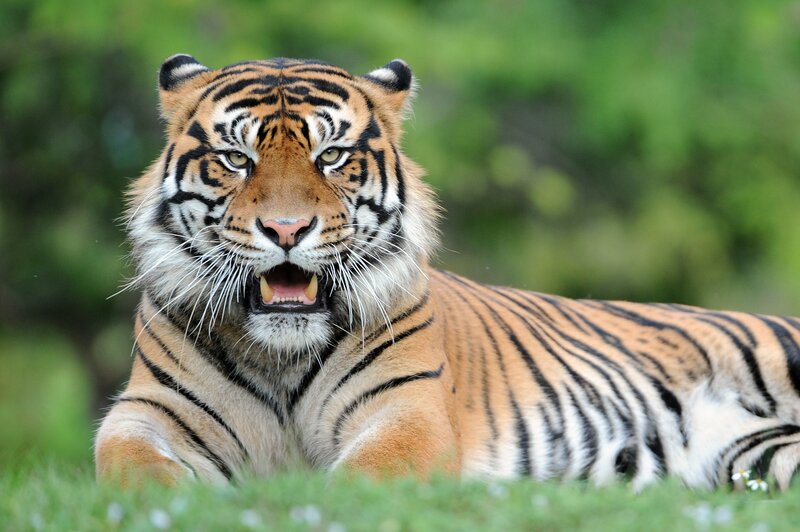 The damage to his liver was severe but with treatment he recovered over several weeks and became strong and feisty. It was time to try and get him back in the wild again. Conchy the morning before his second release attempt. The pair of flamingos were still present in Snake Bight in Everglades National Park but our permits were no longer valid to release there again and couldn’t be renewed for several more weeks. Since birds don’t care about borders that we make up, it was decided to release him as close as we could near the border of the park and let him choose to fly where he wanted, hoping he may find other flamingos. The second release on the Gulf side of the upper keys went well. Conchy on the bow of the boat just off the coast of Tavernier before his second release. We are now tracking “Conchy” with a solar powered GPS satellite transmitter and recording his adventures throughout Florida Bay. He has encountered many other flamingos as they are passing through, and as of September 2017, he has yet to leave Florida Bay showing us that Florida Bay can still support wild flamingos year round. 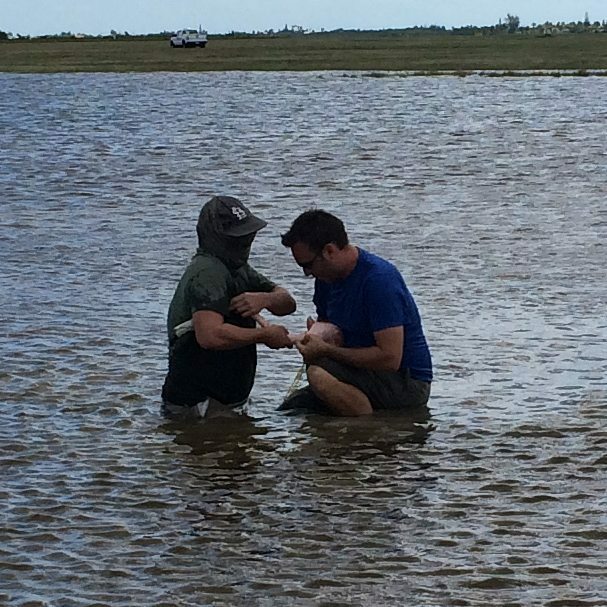 But for now, we are just happy to have saved him, twice, and be able to learn more about places in Florida that are important for flamingos. 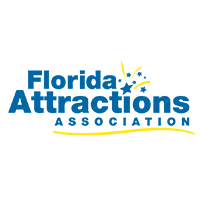 To watch Dr. Ridgley give a lecture to Audubon Everglades about "Florida's Forgotten Wading Bird" click below.